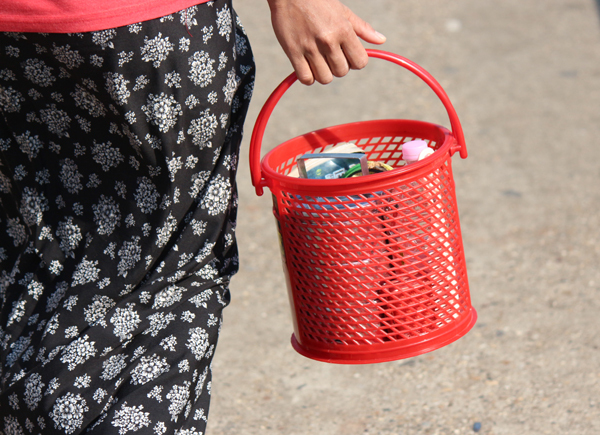 At last, the long-awaited Yangon street style post, perhaps the only Yangon street style post on the entire world wide web. These are a few street photos from my trip to Myanmar a few months ago. Myanmar has been under military rule for decades and has been cut off from the western world until recently. 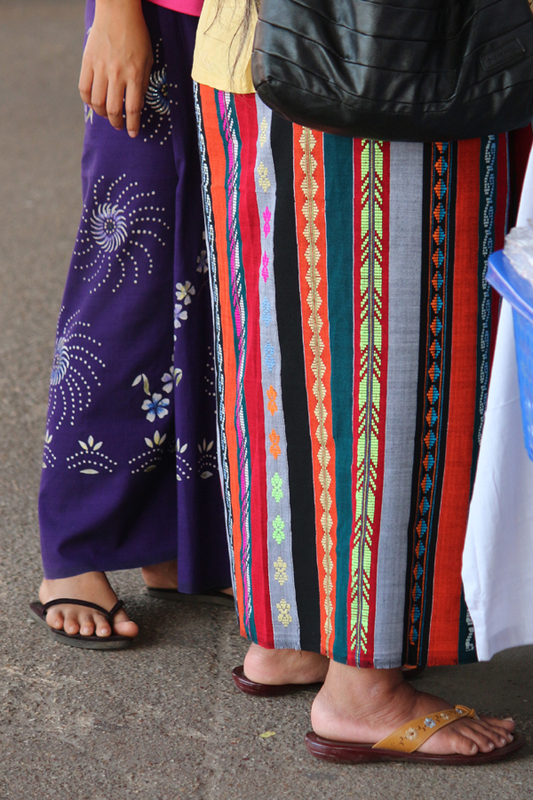 So most people still wear the traditional longyi, a long skirt tied at the waist. Men and women tie it differently. Almost everybody wears a dress shirt. Flip flops are the national footwear. The absence of western t-shirts, blue jeans and shorts is refreshing. 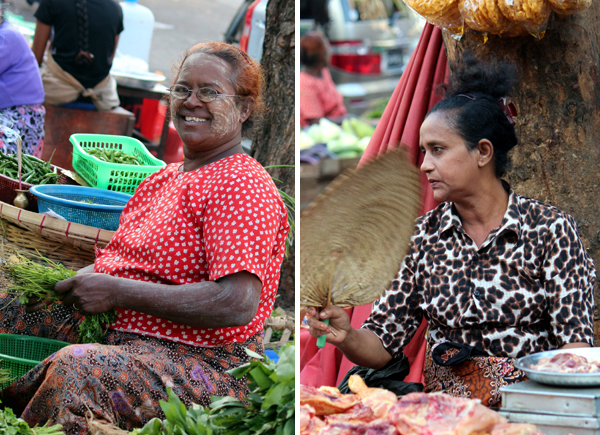 The Myanmar people look dignified across age, gender and occupation and make the tourists look disheveled by comparison. Myanmar people are also unbelievably friendly, tolerating and sometimes welcoming picture taking by visitors. 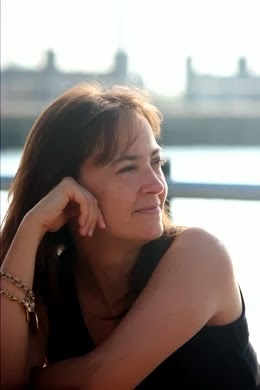 A few opt for western style clothes or hair. And some young people mix and match - a longyi with a t-shirt as an example. 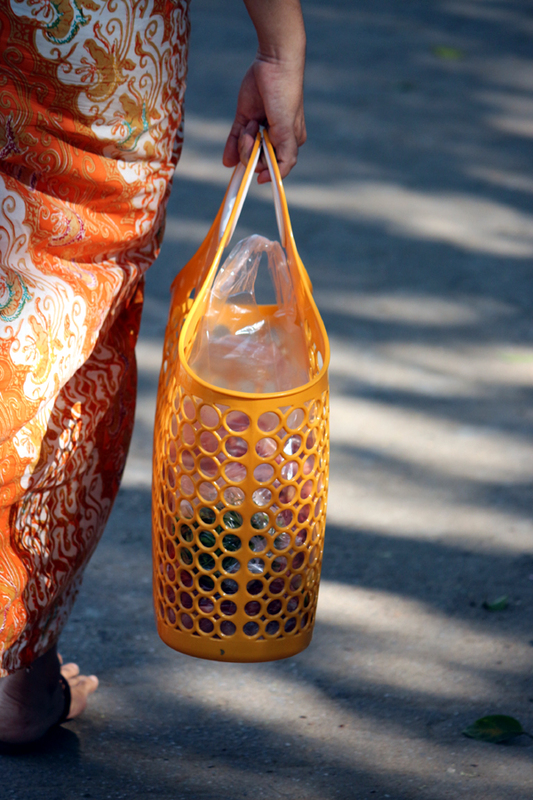 Many women carry colorful plastic totes instead of a handbag, which allows room for lunch. 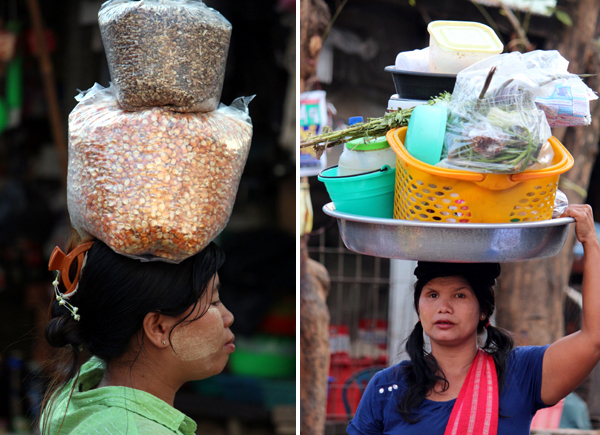 The top of the head is also useful for carrying everything from tiny bowls to entire street food stations. 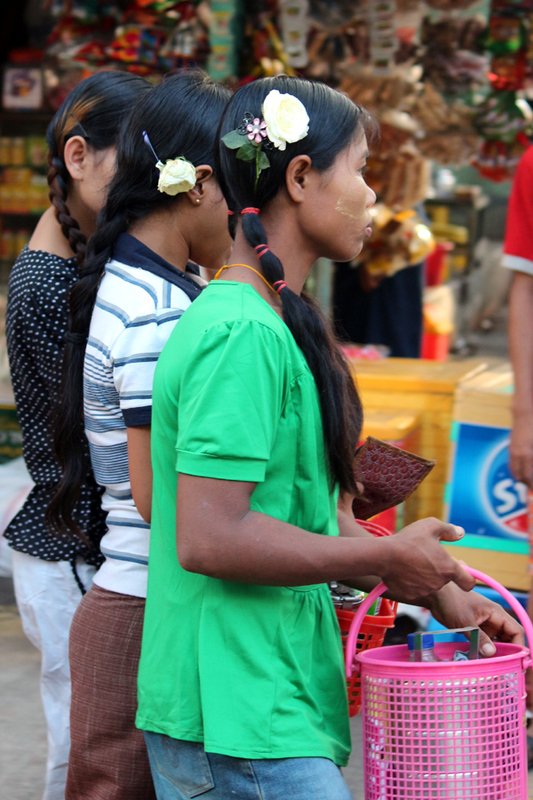 Myanmar men and women are fearless about mixing pattern. 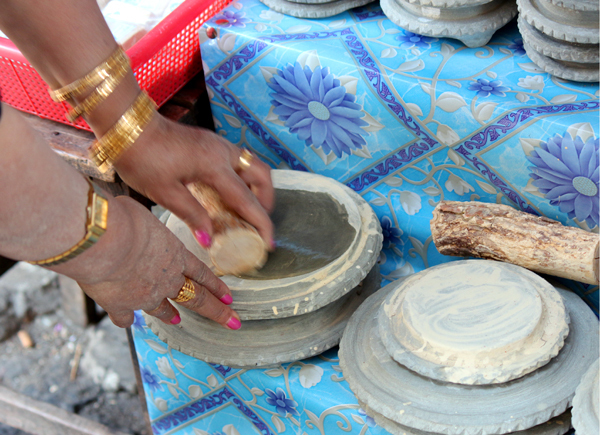 Women, children and some men wear thanaka, a cosmetic paste made from bark and used as a sunscreen. 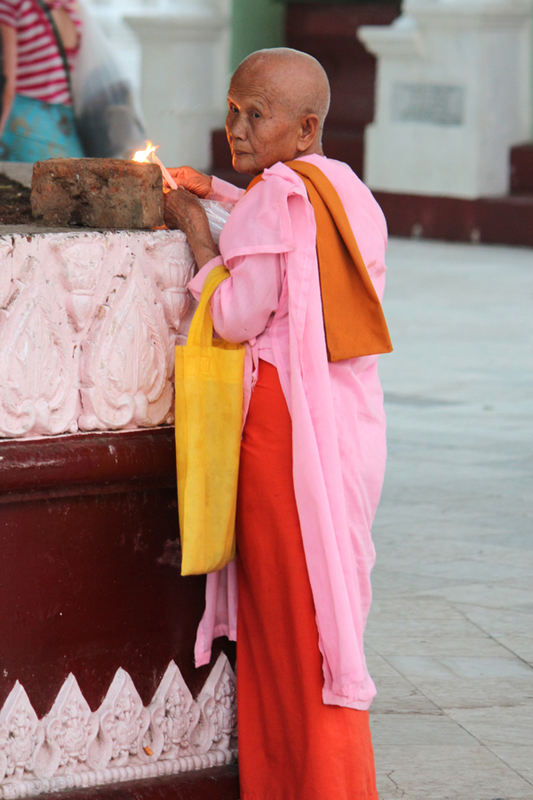 Female Buddhist monks wear pink robes with an orange sash. 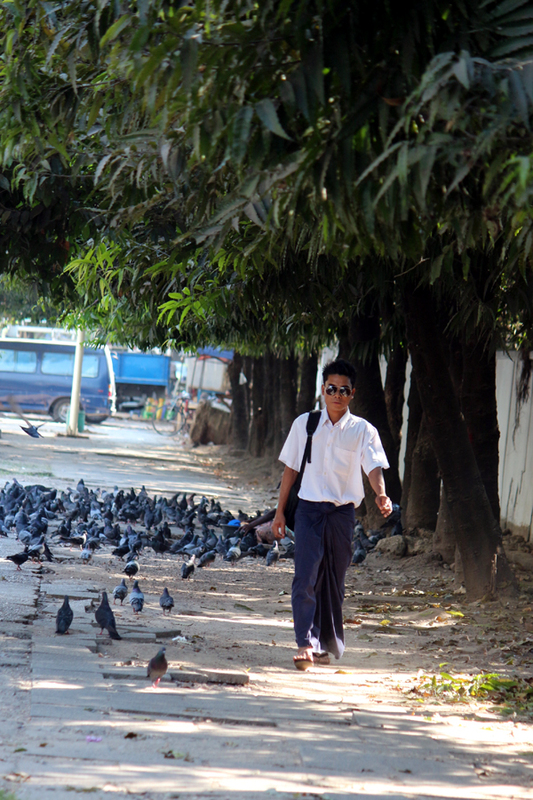 Yangon is mostly Buddhist with a mix of Muslim and Christian. 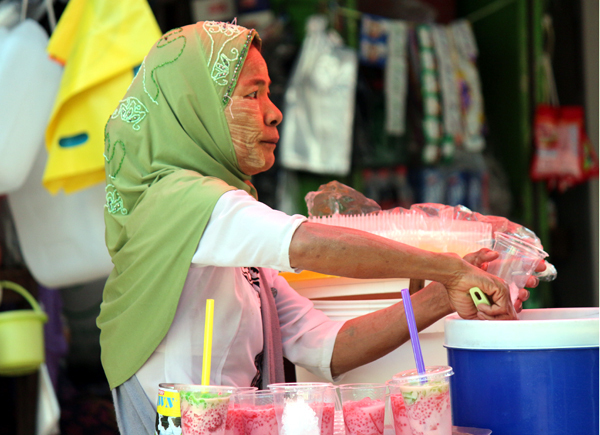 Add a bright head covering, thanaka, betel nut, and bubble tea and you have a colorful mix. 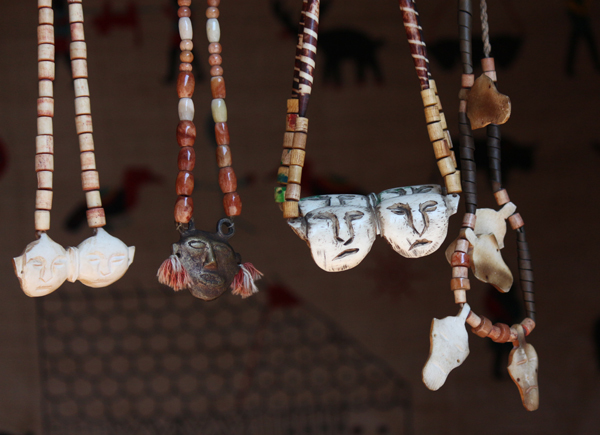 Vendors sell antique hill tribe jewelry. And for you DIYers out there, this is standard equipment. 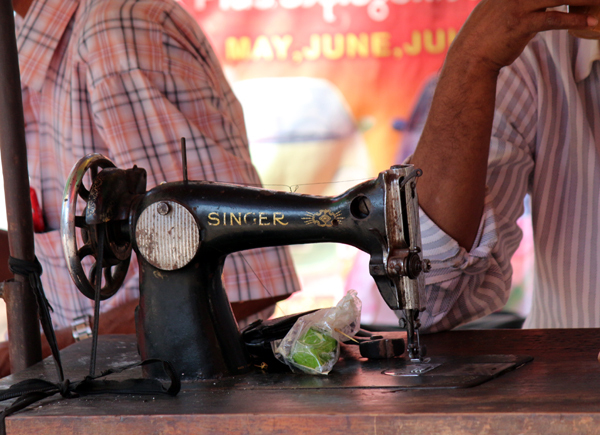 People carry foot-pedaled sewing machines out to the street and set up shop repairing and making clothes, shoes and bags. Nothing is wasted. 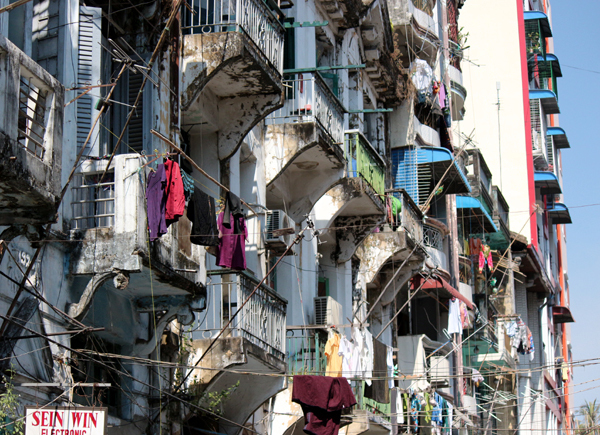 Colonial-era buildings that have barely changed since the British left. I'll share some of the goodies I bought in an upcoming post.